Now is the time to start thinking about how and what you are going to send out for a special Christmas greeting. 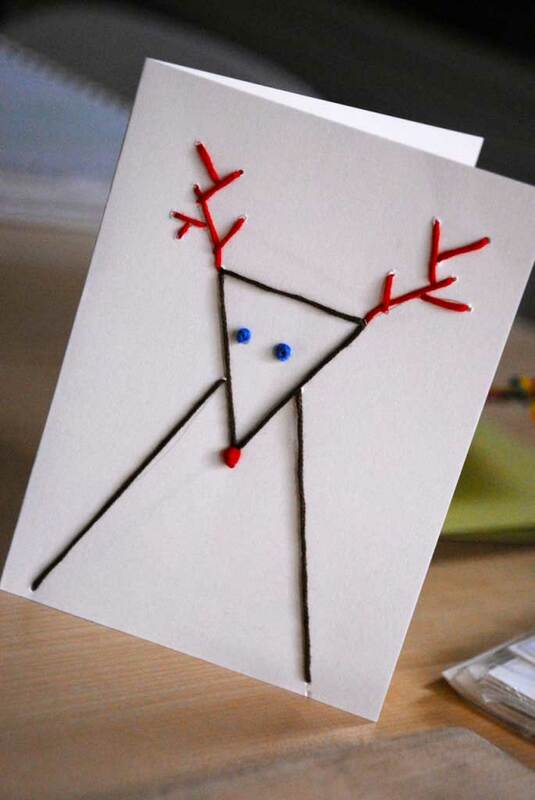 If you make your own Christmas cards, it will definitely add a personal and thoughtful touch. The key is to start early with your creating so that you don’t get too flustered with everything else going on. 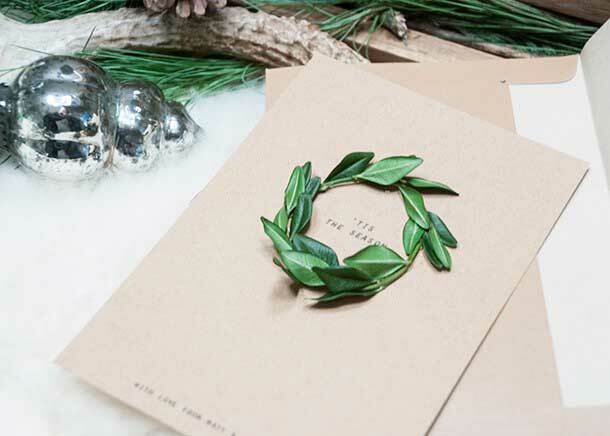 These ideas for DIY Christmas cards will inspire you to get started. 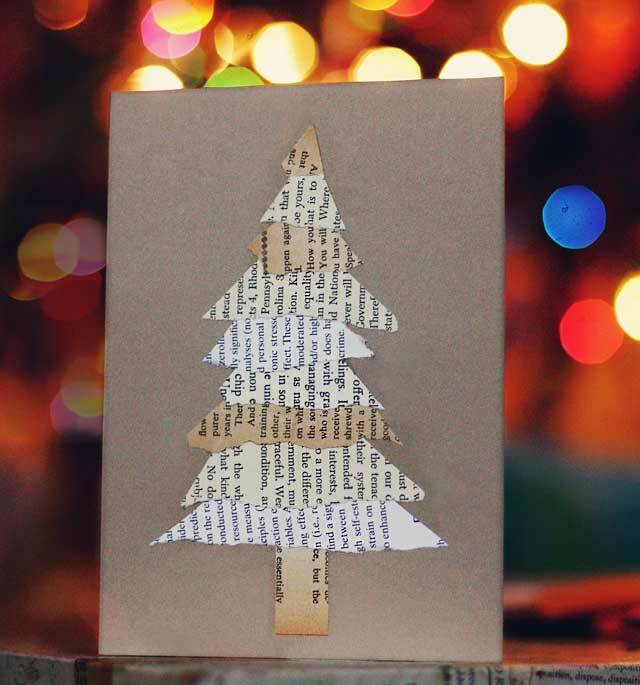 Here are some ideas for creative ways to make your own Christmas cards. You don’t have to be an expert paper crafter to make any of these cards. All of them are easy enough for the beginner. Even though the Christmas cards are easy to make, they still have a ton of simplistic style. 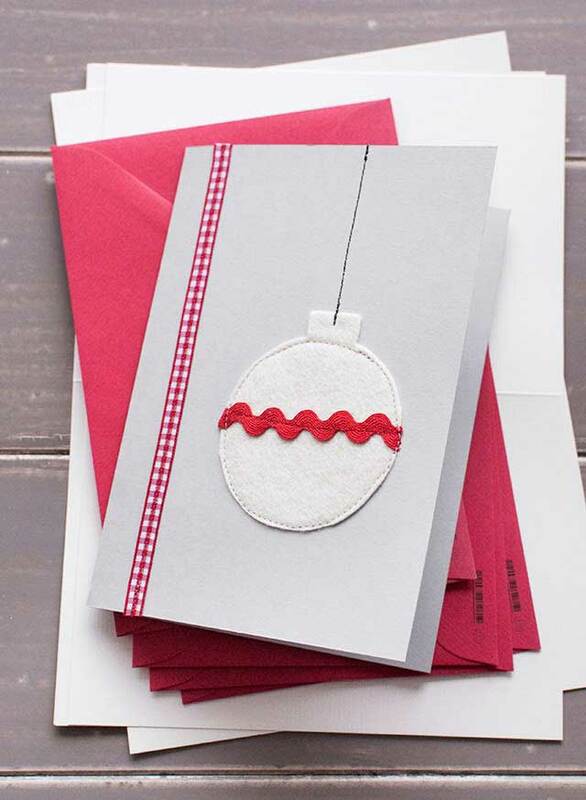 Make a warm and simple card using just buttons and ribbon. A simple design like this is quite striking. Another way to use buttons is to make them look like ornaments hanging from a tree. If you like these DIY Christmas cards using buttons, you may also be interested in button crafts for fun accessories. Ribbon and fabric scraps are used to make these festive Christmas cards. Again, the designs are simple which allows you to have time to make several. The kraft paper background adds a rustic touch. These would go well with Kraft wrapping paper ideas. 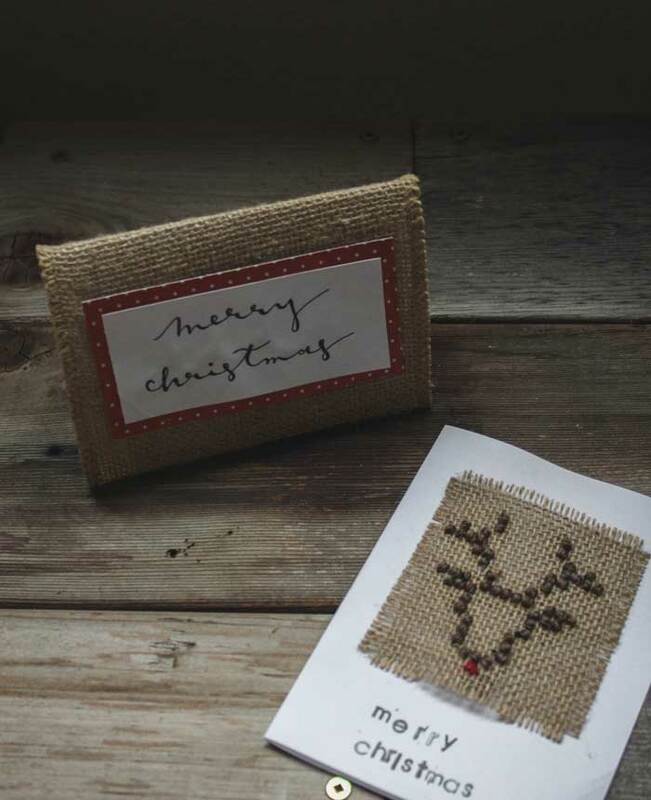 Burlap is a great rustic material to use as a background for Christmas cards. 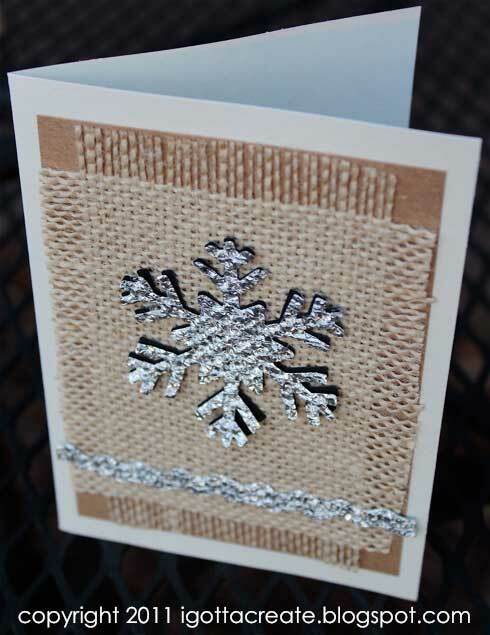 And, the shiny snowflakes on this card are actually made of tinfoil. There are so many ways to use book pages in crafts. Forming images, like this Christmas tree, is a fantastic idea for DIY Christmas cards. Because felt does not fray, it’s a good alternative to paper for embellishing a Christmas card. This felt ornament is actually sewn onto the card stock. However for an even easier construction, you can just glue the felt. No need for detailed drawing here! 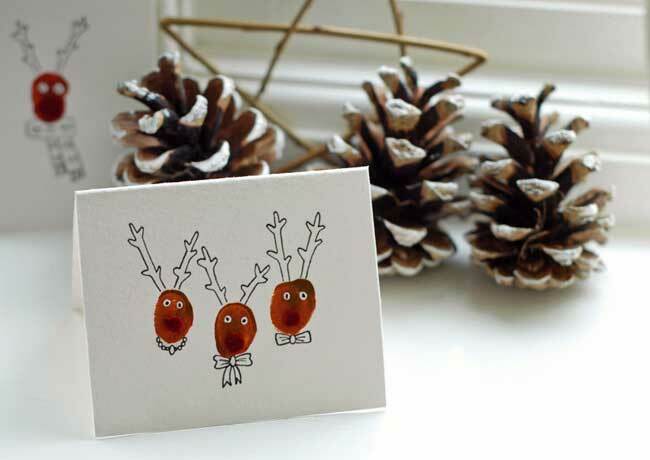 Just use your thumbprint to make the heads of these cute and whimsical reindeer cards. Use clippings from an artificial boxwood wreath to make mini wreaths on a card. All you need is a ruler to draw straight lines for this image! Then, just punch holes and thread embroidery floss through. I also love the idea of embroidering a simple design onto burlap. A simple, rustic and festive little Christmas card! Because burlap has a loose weave, it is easy to stitch a design on it. What do you normally do for Christmas cards? 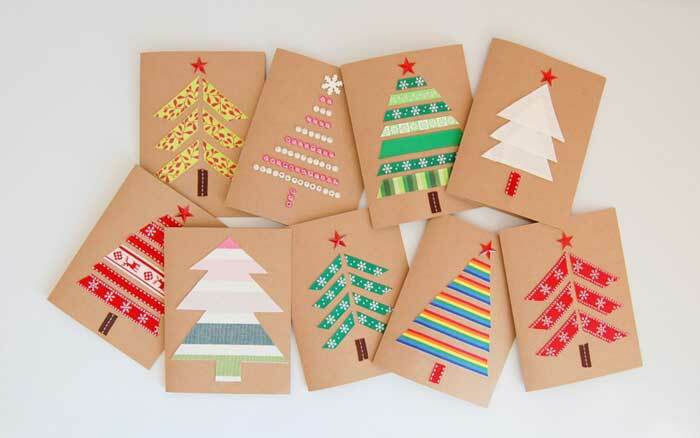 Do you purchase a boxed set or make your own Christmas cards?